For organizations looking for intuitive card design, data management and advanced card personalization. Smart card management and maximum flexibility with external data. 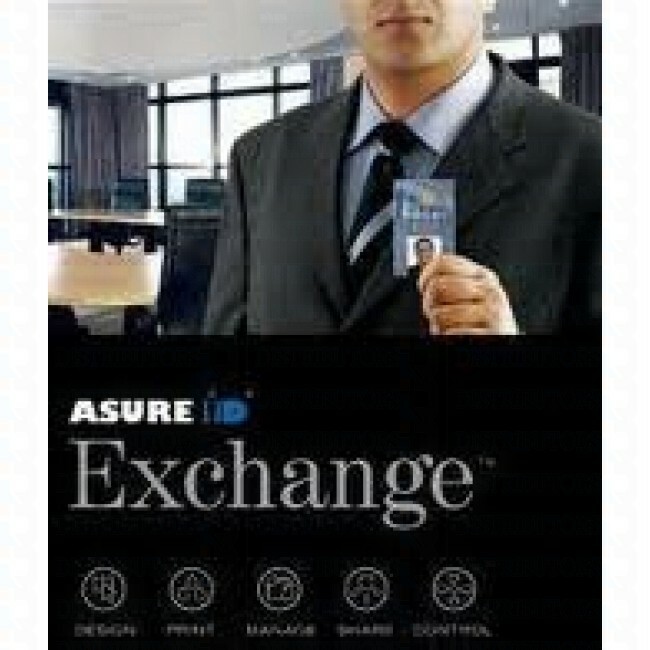 Asure ID 7 Exchange™ For organizations looking for intuitive card design, data management and advanced card personalization. Smart card management and maximum flexibility with external data. For organizations looking for intuitive card design, data management and advanced card personalization. Smart card management and maximum flexibility with external data. 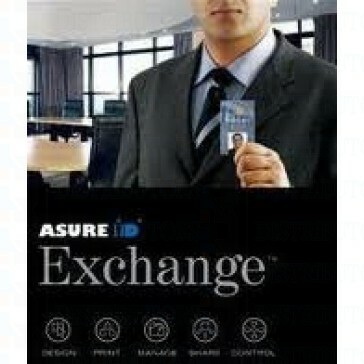 Asure ID 7 Exchange™ For organizations looking for intuitive card design, data management and advanced card personalization. Smart card management and maximum flexibility with external data. Its powerful integration, enrollment and encoding modules ensure a quick and seamless gateway with other existing database sources; whether Asure ID is installed on a PC or a Windows 8 Pro Tablet. A revamped programming module, iDIRECTOR, adds functionality which includes MIFARE application programming and support of iCLASS Physical Access Control Application (Page 0) Encoding. Asure ID Exchange also includes a Laser Configuration module for simplified setup and maintenance of the HDP8500LE Laser Engraver. Everything you need to design and populate a card is right in front of you, and routine tasks can be performed with a couple of mouse clicks. Key Benefits Improved User Interface - based on the familiar Microsoft® Ribbon look-and-feel, its even easier to design and program photo IDs with minimal training Databases Demystified - Asure ID comes with an internal database and Live Link makes it easy to print cards from a common database for real time data exchange with Oracle, MySQL, LDAP and DVTel® database support iDIRECTOR - encoding and management module improves smart card deployment and development. iDIRECTOR manages how smart card applications are loaded onto cards -- including card memory management -- in one encoding pass School Integration - includes SASI compatibility for consistent data sharing across other applications used in K-12 schools Robust Reporting Suite - standard ready-to-view reports, manipulating data with filtering, sorting and grouping has never been easier to configure and save in a custom report Low Maintenance - automatic notifications of free software updates to ensure that the software is never outdated HDP8500 LE Laser Engraver Integration - The intuitive Asure ID interface enables management of printing, encoding, engraving and lamination elements in a single, unified card template. The unified template saves time and speeds the issuance of secure credentials issued. Key Benefits Improved User Interface - based on the familiar Microsoft® Ribbon look-and-feel, its even easier to design and program photo IDs with minimal training Databases Demystified - Asure ID comes with an internal database and Live Link makes it easy to print cards from a common database for real time data exchange with Oracle, MySQL, LDAP and DVTel® database support iDIRECTOR - encoding and management module improves smart card deployment and development. iDIRECTOR manages how smart card applications are loaded onto cards -- including card memory management -- in one encoding pass School Integration - includes SASI compatibility for consistent data sharing across other applications used in K-12 schools Robust Reporting Suite - standard ready-to-view reports, manipulating data with filtering, sorting and grouping has never been easier to configure and save in a custom report Low Maintenance - automatic notifications of free software updates to ensure that the software is never outdated HDP8500 LE Laser Engraver Integration - The intuitive Asure ID interface enables management of printing, encoding, engraving and lamination elements in a single, unified card template. The unified template saves time and speeds the issuance of secure credentials issued.